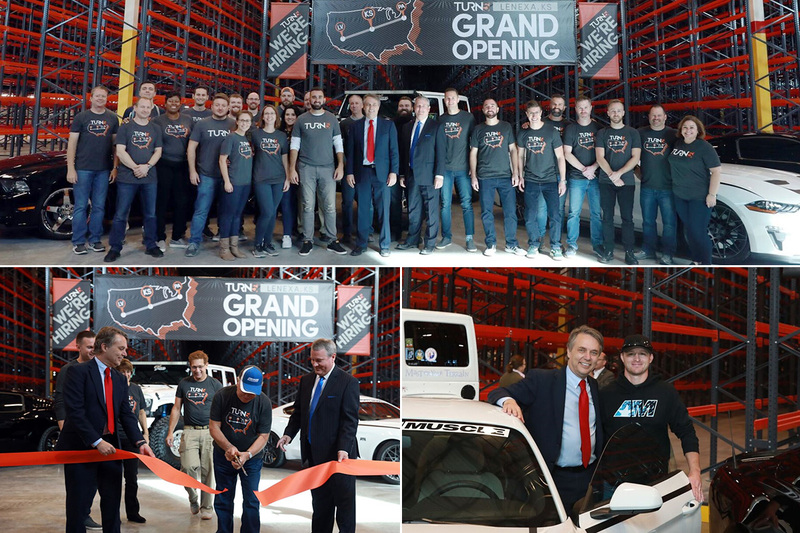 Turn5 (T5), headquarters to AmericanMuscle, ExtremeTerrain and AmericanTrucks.com, celebrated the grand opening of its Lenexa, Kansas Fulfillment Center with T5 founders Steve and Andrew Voudouris’ uncle, Caesar Millas, performing the ribbon cutting. 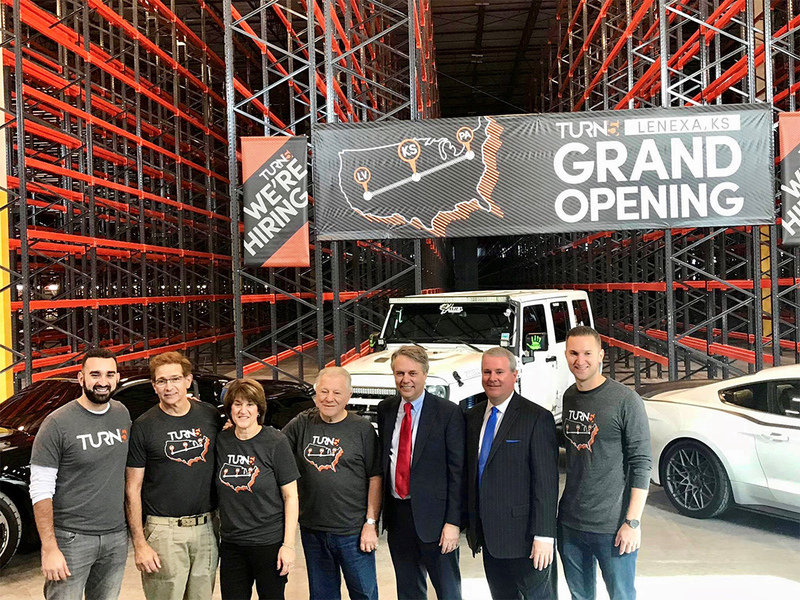 Kansas Governor, Jeff Colyer, Lenexa Mayor, Michael Boehm as well as local business leaders and community officials joined the Turn5 team to celebrate the new warehouse opening. This new 365,000 square-foot facility was built to help T5 expand its fulfillment operations and create better customer experiences by providing faster shipping to its customers. This new location will allow T5 to decrease the length of delivery times by approximately 20%, assuring 2-day shipping for the majority of its North American customers. 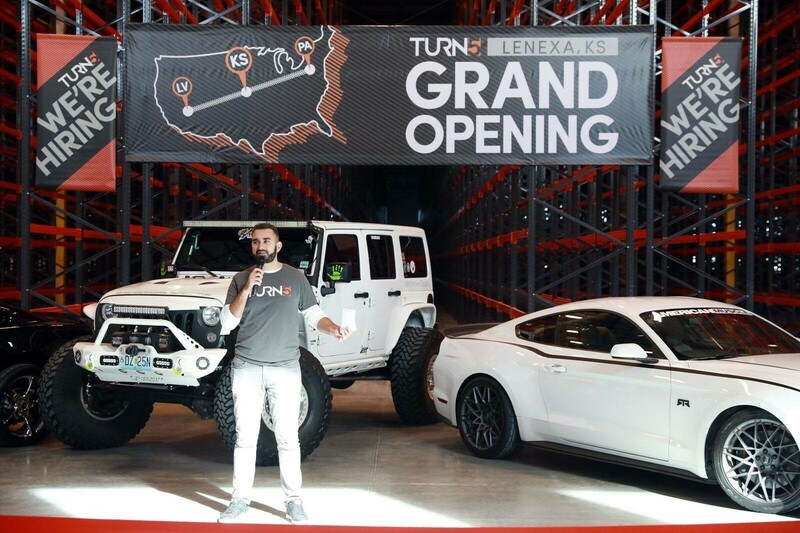 Turn5 is an award-winning automotive aftermarket performance e-commerce retailer founded in 2003, and it is home to AmericanMuscle, ExtremeTerrain and AmericanTrucks.com. It is located outside of Philadelphia, Pennsylvania, and it employs more than 400 staff members. Turn5 has received numerous business and e-commerce awards as a leader within the thriving automotive aftermarket performance niche.